B 17F 42-30371 crashed in the North Sea south west of Fanø island 9/10 1943. The aircraft belonged to USAAF, 8 Air Force, 388 Bomb Group, 560 Bomb Squadron and was named Iza Angel II. While under fighter attack from Bf 109 fighters a fire started in the right hand wing. The aircraft left the formation in a shallow dive and exploded just before it hit the water. At approx. 15:45 a falling aircraft and six parachutes descending were observed from Sønderho on the island of Fanø and the lifeboat crew were alerted. At 17:00 hours the boat was put in the sea. Apart from the 12 man crew a German officer and two privates as well as Doctor Trolle of Sønderho were onboard. On the sands of “Flak Stjert” was observed three flyers that were picked up. Two of whom were wounded from bullets in their legs and were treated by Doctor Trolle. The search continued until 21:00 hour when the boat returned to Sønderho. The three flyers were taken to the Wehrmacht barracks at Magsøbo where they spent the night. The flyers were Ball turret gunner S/Sgt Francis J. Antalek, Left waist gunner Sgt William R. Caruso and Right waist gunner T/Sgt John L. Dugan. The next day they were taken to Esbjerg air field. It is believed that the following three survivors were picked up by a German ship and taken to Esbjerg air field: Pilot Captain Henry J. Nagorka, Navigator 2.Lt John B. Leverone and Bombardier 2.Lt Michael G. Mahoney. From Esbjerg they were all sent to Germany and POW camps. Three dead crewmembers were found washed ashore near Sønderho. Radio operator T/Sgt Robert A. Blankenburg was found on 11/10 and was laid to rest in Fovrfelt cemetery in Esbjerg on 12/10 1943. On 5/11 the body of Tail gunner S/Sgt Wilbur P. Quinn was found. He was laid to rest in Fovrfelt cemetery on 9/11 1943. Engineer/ Top turret gunner T/Sgt Edward Keisler was found on 21/12 and was laid to rest in Fovrfelt cemetery on 30/12 1943. On 30/4 1948 their remains were disinterred and were evacuated to the American cemetery at Neuville en Condron in Belgium by the US military where Keisler still rest. Blankenburg and Quinn now rest in USA. 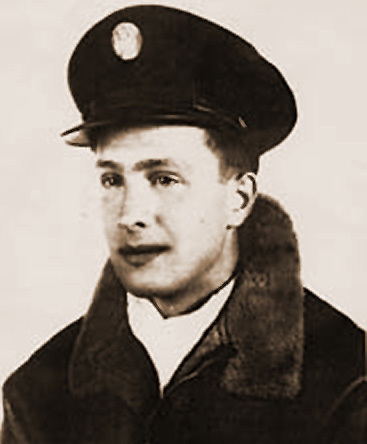 Co-Pilot 2.LT Gilbert N. Parker has no known grave and his name is found on Tablets of the Missing at Cambridge American Cemetery, Cambridge, England. Sources: MACR, AS 64-906, LBUK, Lifeboat log Sønderho, UA, FB, BE.